ASHRAE GreenGuide: The Design, Construction, and Operation of Sustainable Buildings, 2nd ed. 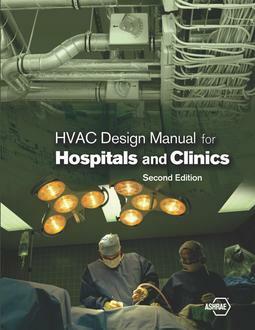 HVAC Design Manual for Hospitals and Clinics, 2nd ed. 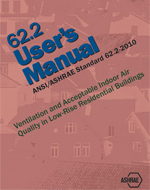 The ASHRAE GreenGuide now has a new third edition. Click on the Product Family tab for a link to the new third edition. The ASHRAE GreenGuide provides guidance to designers of HVACR systems in how to participate effectively on design teams charged with producing green buildings. It also covers green design techniques applicable to related technical disciplines, such as plumbing and lighting, and it addresses how mechanical and electrical systems may interact with and be influenced by architectural design. It starts with the very earliest stages of a green building design project and carries through to the resulting structure's construction, operation and maintenance, and eventual demolition. The ASHRAE GreenGuide is a useful reference for architects, building owners, building managers and operators, contractors, and others in the building industry who want to understand some of the technical issues regarding high-performance design from an integrated building systems perspective. Considerable emphasis is placed on teamwork and close coordination between interested parties. The second edition of the ASHRAE GreenGuide includes a new chapter on LEED guidance for mechanical engineers and a new chapter on building systems' impact on the local environment, both indoor and outdoor. There are new 20 GreenTips, including a new version of the GreenTip that focuses on specific building types. Some of the chapters from the first edition have been reorganized in an attempt to more accurately mirror the path that an actual project would take from pre-design to post-occupancy. Content was added and edited in all of the chapters, with significant updates in the subject areas of building automation systems, renewable energy options, CHP and GSHP systems, and construction issues. 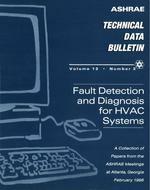 Dual units are provided, as well as more international HVAC engineering representation in the editorial process. New graphs, photographs, renderings, and diagrams were added where necessary to provide a more complete overview of specific subject matter. In addition, references were added and updated in order to make the second edition current as of its date of publication. Aside from the textual expansions, the second edition of the ASHRAE GreenGuide is a compact 6 x 9" book with a durable hardback cover and a new subtitle that better reflects the content and intent of the book. The second edition replaces the now out-of-print first edition and was printed on 100% recycled paper as part of ASHRAE's commitment to sustainability. The ASHRAE GreenGuide is the first book of The ASHRAE Professional Series, which was jointly developed by ASHRAE and Butterworth-Heinemann/Elsevier to provide high-quality professional information for a global audience of HVACR engineers as well as professionals in related fields. ASHRAE GreenGuide: The Design, Construction, and Operation of Sustainable Buildings, 3rd ed.